Forklifts today are common pieces of equipment we rely on for many different types of work. They are integral components of what makes modern day industries so efficient and expandable. And the invention that started it all? The Towmotor. You can become a part of this iconic brand’s legacy when you complete a Towmotor certification. ForkliftCertification.com offers OSHA compliant training for every type of forklift brand, including Towmotor. If your operators need a Towmotor license, you’ve come to the right place! Sign up today and get started with your training and compliance. Our affordable courses are the most convenient, quickest way to become OSHA compliant! Towmotor is a brand of forklift that started in the early 20th century. In Cleveland, Ohio in 1919, Lester Sears founded the Towmotor company and created the very first forklift. Because it was such a new and inventive creation, consumers referred to all manufactured forklifts simply as “towmotors” at the time. • Two models of tractors. These powered industrial trucks are some of the most reliable, rugged, ready for anything lifts in the industry. Ideal for warehouse jobs and tasks, these Towmotor forklifts are used all across the United States. To operate these types of lifts, your employees need a Towmotor license. If you need Towmotor license, training, and certification, look no further than ForkliftCertification.com. 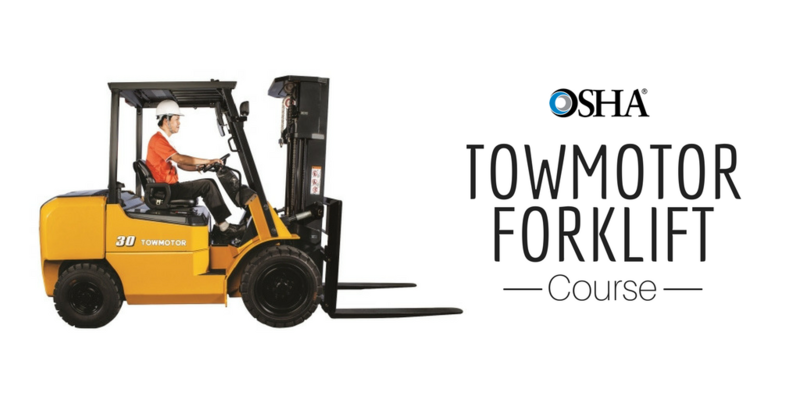 We have three training packages for anyone that required to drive Towmotor forklifts. Sign up today and get the training you need to be successful with one of the most popular brands of powered industrial trucks available today: Towmotor forklifts! What Are Towmotors Used for? Towmotor manufactures both diesel and gas-powered forklifts designed for handling cargo and other materials inside warehouses and factories. Counter-balanced warehouse forklifts are used for all types of material handling tasks in many different settings, from retail warehouses to computer manufacturing facilities. Get your Towmotor license with us today! Towmotor forklifts are mostly used inside warehouses and stock yards, working with stacked inventory and transporting loads. And even fun positions like special events employee and brewery worker! Do I Need Towmotor Certification? Forklift training has been found to be the number one most effective way of preventing accidents and keeping workers safe. Therefore, is a Towmotor license and certification necessary? The short answer is yes. OSHA governs workplace safety and training for employees. According to their standard 1910.178 for Powered Industrial Trucks (forklifts), all employers must ensure that operators are able to operate forklifts safely, after the successful completion of training and an evaluation. Whether your operators need an initial Towmotor license or renewal Towmotor training, we have everything you need for OSHA compliance! With our Towmotor license and certification training, you’ll enjoy the best of both worlds: better job prospects for the employee and the peace of mind and OSHA complaint for the employer. If you’re wondering where to get Towmotor certification and how much it costs, you’ve come to the right place. ForkliftCertification.com is the most comprehensive and affordable online platform for forklift training. Our Training Kit teaches all the main classes of forklifts, including the types Towmotor manufactures, and provides same-day certifications. Our Warehouse Forklift Training, Classes 1, 4, 5 will teach and certify workers to operate the types of forklifts that Towmotor manufactures. Employers can create an account in minutes, and trainees can complete the online modules in only about one hour from any device with an internet connection. And license renewals are always free! • Complete the training course is as little as one hour! • Receive three-year renewals for free, for life! We’re the best choice for Towmotor licenses, training, and more. Sign up today and get started! Comply with OSHA regulations and help contribute to a safe and productive workplace with a Towmotor certification from ForkliftCertification.com! If you need any more information about our Towmotor forklift certification, or if you have some questions about OSHA compliance and how it relates to a Towmotor license, get in touch with our forklift training experts today. Give ForkliftCertification.com a call at (888) 278-8896. Thanks for considering ForkliftCertification.com for your complete Towmotor forklift training. Remember, we’re the preferred training partner for all brands of powered industrial trucks. Sign up today and get started with your Towmotor certification.